Anguilla has everything you’d expect from a Caribbean island—white sand beaches, clear seas, luxury resorts, et cetera—but, surprisingly, none of the crowds. Take advantage of the lack of name recognition and enjoy sailing, snorkeling, and shopping in relative seclusion. If you like undersea views, be sure to dive in at one of Anguilla’s many cays. Spots like Prickly Pear or Scilly Cay are perfect for snorkelers. If you’re seasick from swimming, sailing, and diving, be sure to go a few rounds on Temenos, the island’s 18-hole golf course, take a turtle nesting tour (April through November), or visit the fully restored Wallblake plantation house. The island also has an amazing dining and nightlife scene, so save some energy for the end of the day. Where is it? In the Caribbean, north of St. Maarten. 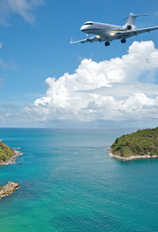 Fly internationally to St. Maarten (check prices) and take a seven minute puddle-jumper to Anguilla, or a $15 ferry. Where to Stay? 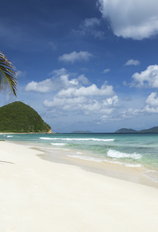 At Meads Bay Beach Villas, luxury located on the mile-long unspoiled beach of the same name. Who’s it For? Beach lovers, tax dodgers.